Have you ever Googled yourself and found something negative? Just one small negative posting can cost you a job or damage your business. 'Feel Good Friday' is a weekly dose of fun and/or inspiration to give you a lift into your weekend. Subscribe here to receive it in your inbox every Friday morning. 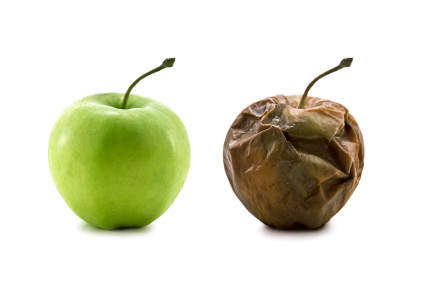 Are you green and growing or ripe and rotten? Are you investing your talent budget in the right places? If you’re a hiring manager in an industry experiencing skills shortages, chances are that those in your board room are experiencing stress levels moving in the opposite direction to the unemployment rate. You’ll be talking how to spend your talent budget in designing attraction programs focused on sniffing out, enticing out and engaging hidden talent. The Joys of A The Daily Commute....NOT!! The other day, I made the dreaded daily commute. I had a meeting with a client in corporate land in the city. I braved the bus home at peak hour. I stood in the line, rummaged through my bag to find the change to pay the driver. It was crowded. It always was crowded. It has been generally accepted in the past decade that Australia has grown into a dual speed economy. The Mining and Resource sectors have experienced incredible growth and the remaining categories of the economy, while experiencing healthy growth over the past decade, have not kept pace. While reading the news a couple of days ago, I discovered that the future of flexible working arrangements has been thrown into jeopardy. No, not by some group of cashed up corporates in suits, but by a woman who went for a tumble while shuffling around her home in bed socks. Is it time for recruitment ads to be more "gender smart"? Many organisations in Australia, particularly listed companies, are now focusing on gender equity at board and executive levels. A gender balanced organisation is not just an outcome by achieving gender ratios, as there is also a need for a process to develop a more strategic approach to achieve gender equity. The ideas behind "HR Daily Community"
We're launching this new "HR Daily Community" for a few reasons. Firstly, to give more HR professionals a voice. When we started featuring external blog posts on HR Daily it seemed as though there were only a handful of people writing (in Australia) in this space, but over the past couple of years that number has grown significantly.